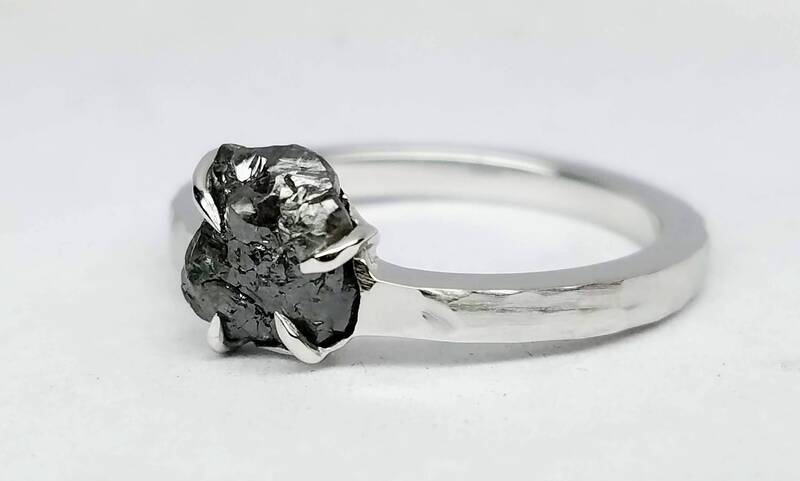 Black Rough diamond white gold ring, Raw diamond ring, Salt and pepper diamond, Bague en Diamant brut, Rohdiamantring. 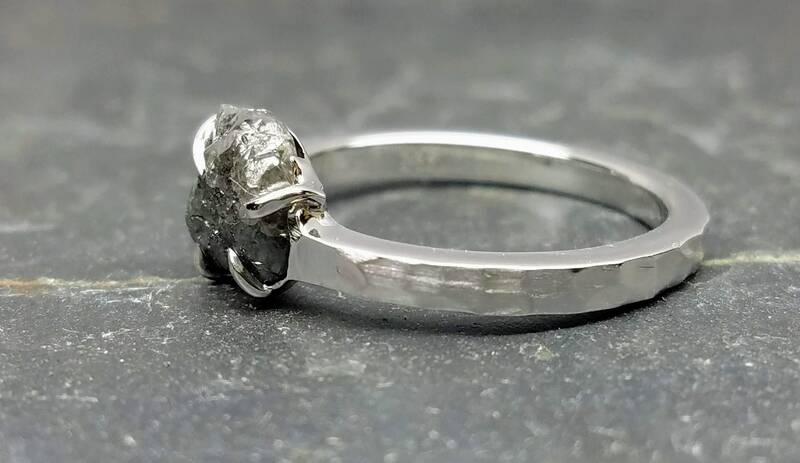 Very organic natural rough diamond ring. 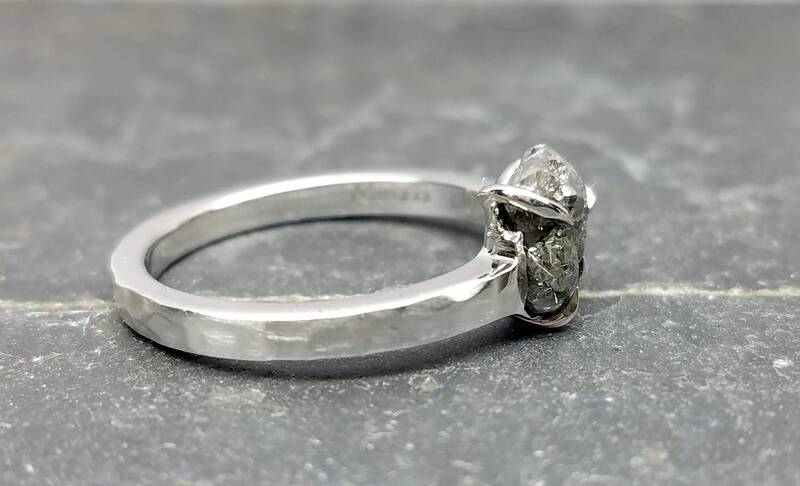 This natural conflict free rough salt and pepper diamond weighs 1.14 carat,is set in 14kt white gold custom handmade ring. 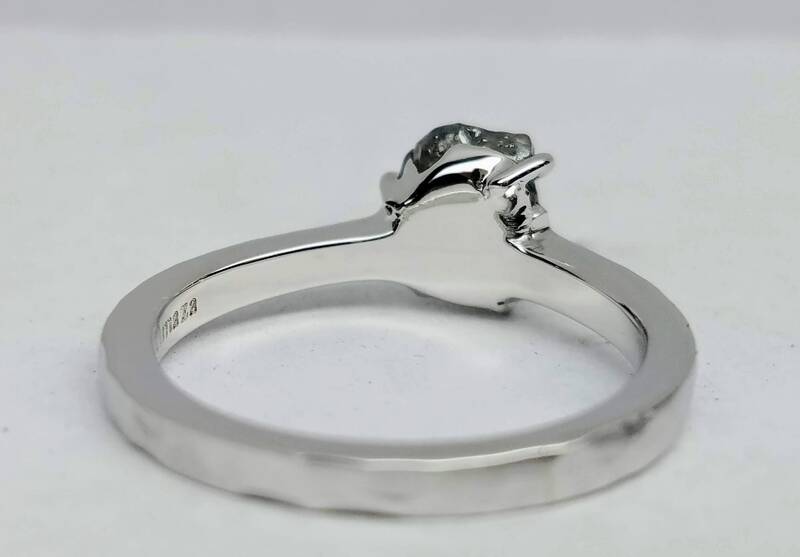 This ring has a hammer look finish and satin matte finish. We can refinish it in smooth polished finish. Please ask us. 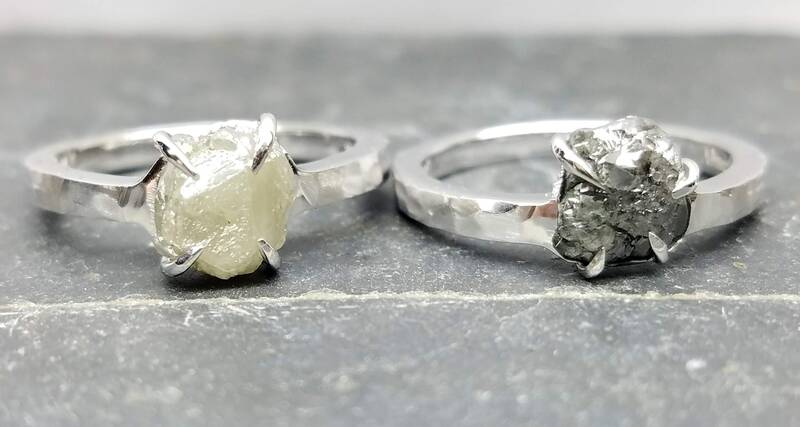 We also have different color, different size rough diamonds and rings, please ask us or visit our shop. 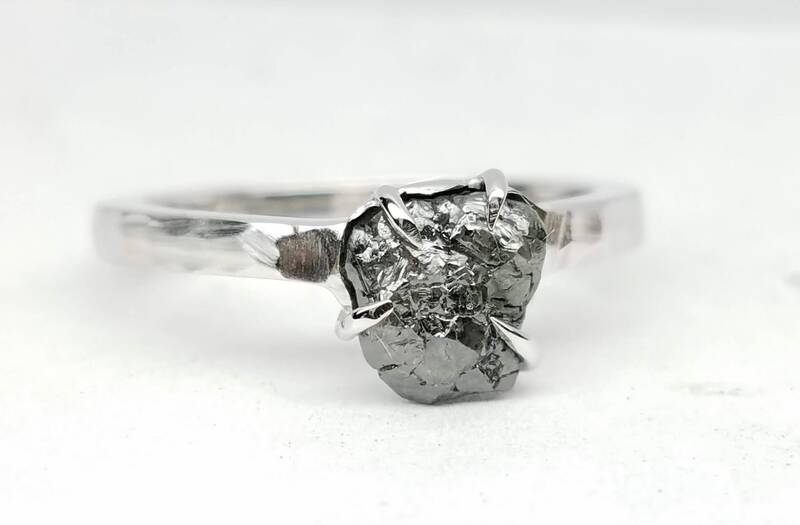 The diamond is not cut, not polished in raw organic conditions. 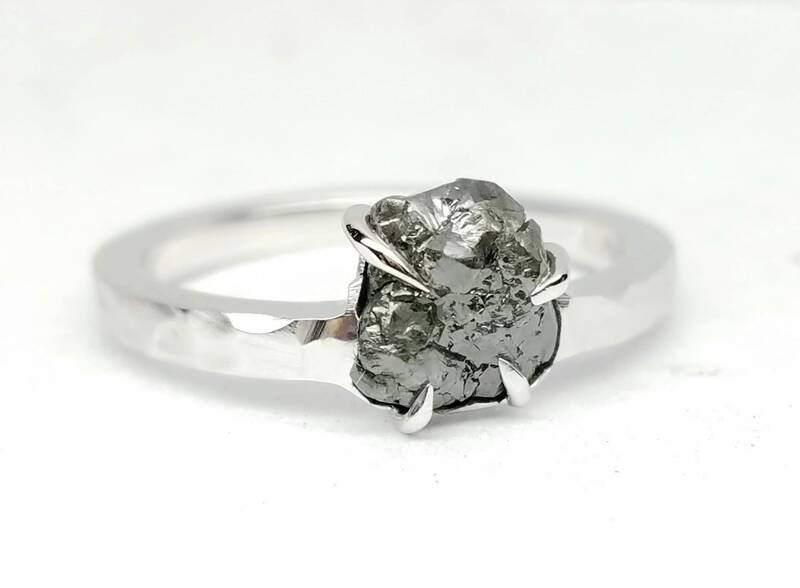 Stunning and unique ring. My partner loves it. Extremely fast shipping and an all round lovely bloke. Thanks Garo.